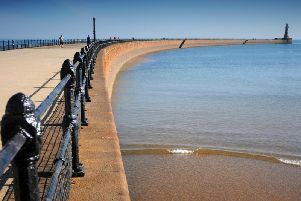 The weather in Sunderland is set to be a mixed bag today, as forecasters predict sunny spells, cloud, and heavy rain. This morning will see sunny spells and cloud, with the temperature increasing to 3C by lunchtime. This afternoon will then be cloudy throughout, with the temperature reaching its peak of 5C by 3pm. Light rain will also hit between 4pm and 5pm. This evening will become quickly dark, with light rain set to hit from 5pm onward. Overnight temperature of 5C. Tomorrow is set to be cloudy throughout most of the day, with a maximum temperature of 8C.